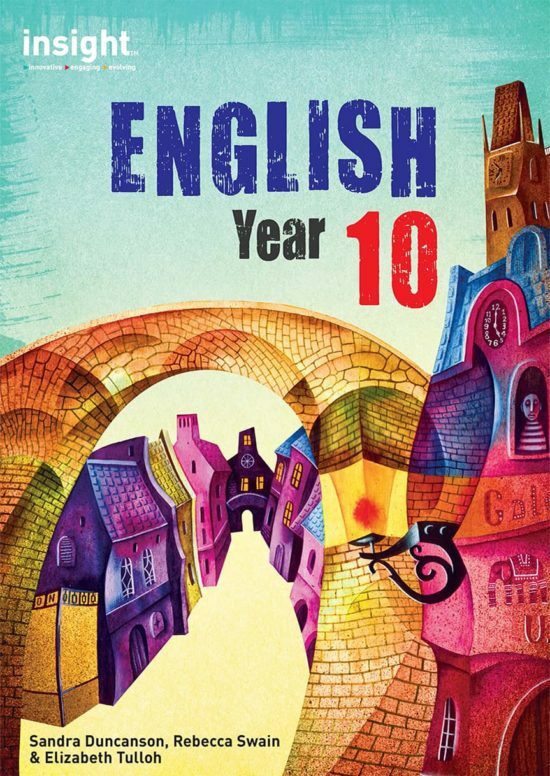 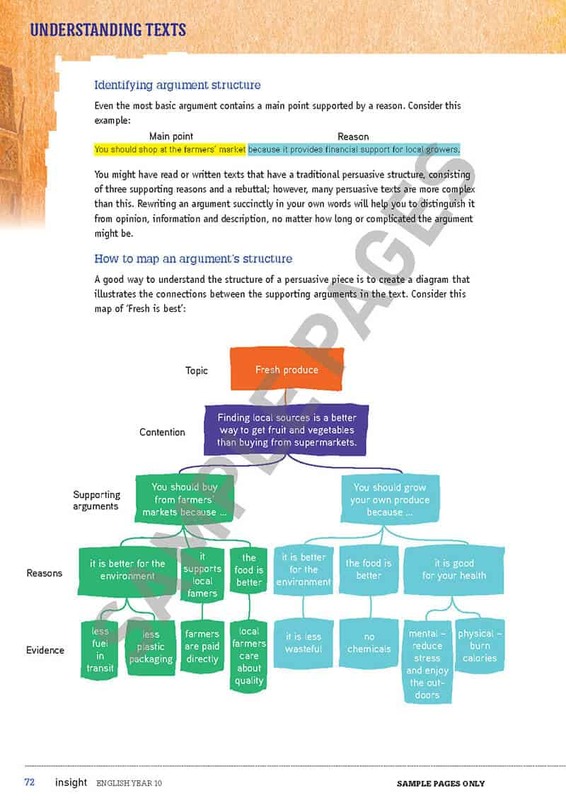 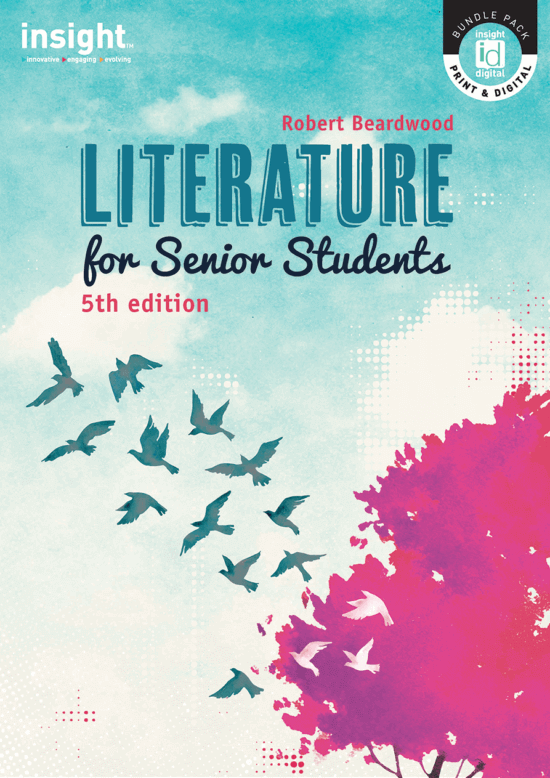 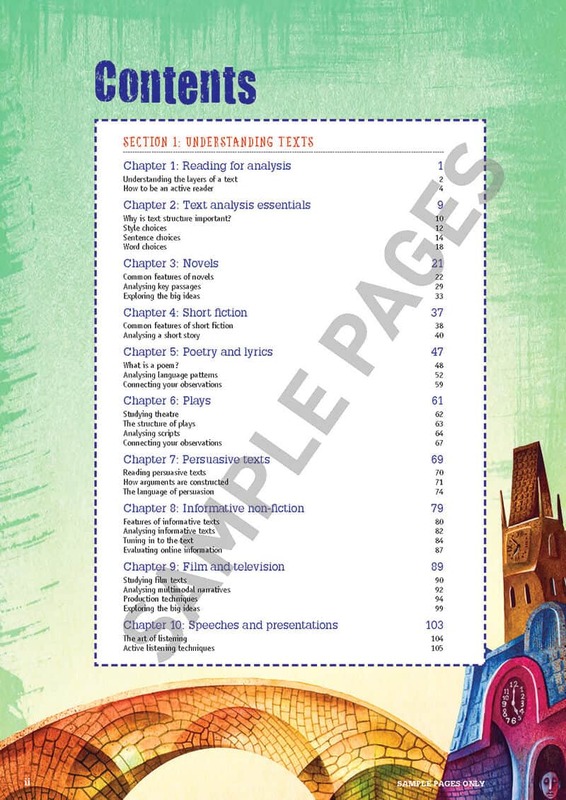 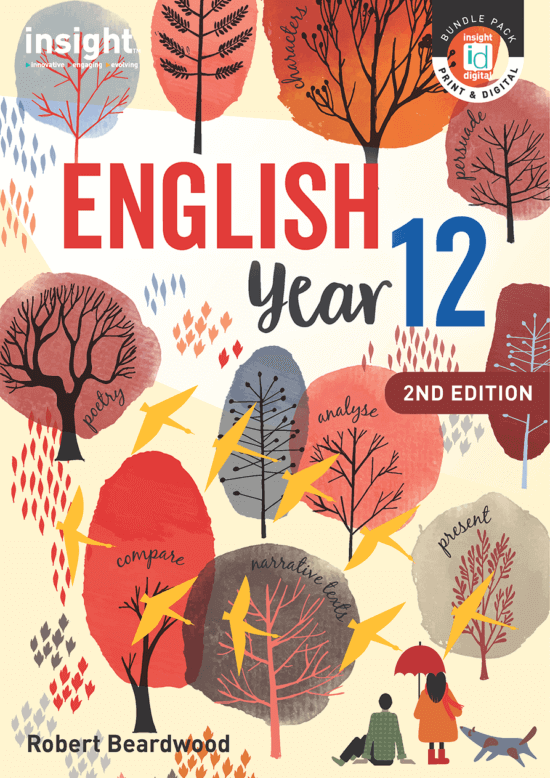 Insight’s English Year 10 is a comprehensive textbook based on the Australian Curriculum for English, providing thorough preparation for any senior English pathway. 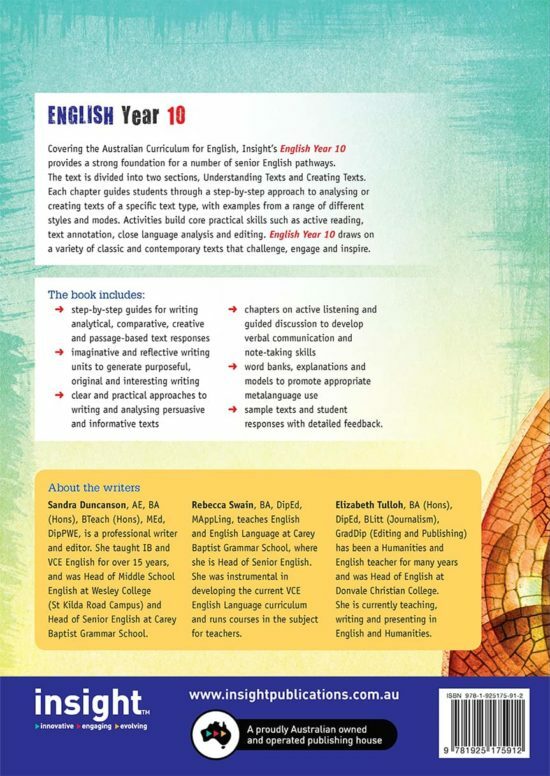 It consolidates core English skills and develops increasingly sophisticated approaches to language, literacy and literature. 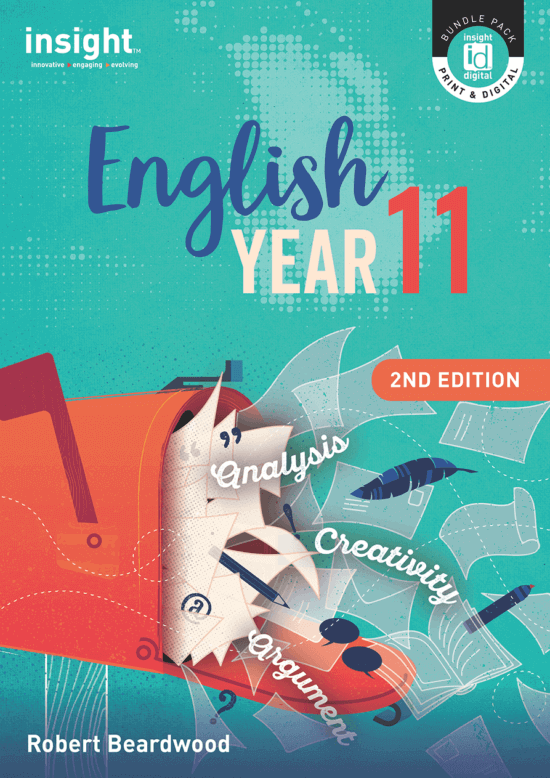 Insight’s English Year 10 has well-scaffolded units, interesting content and accessible language without sacrificing academic substance. 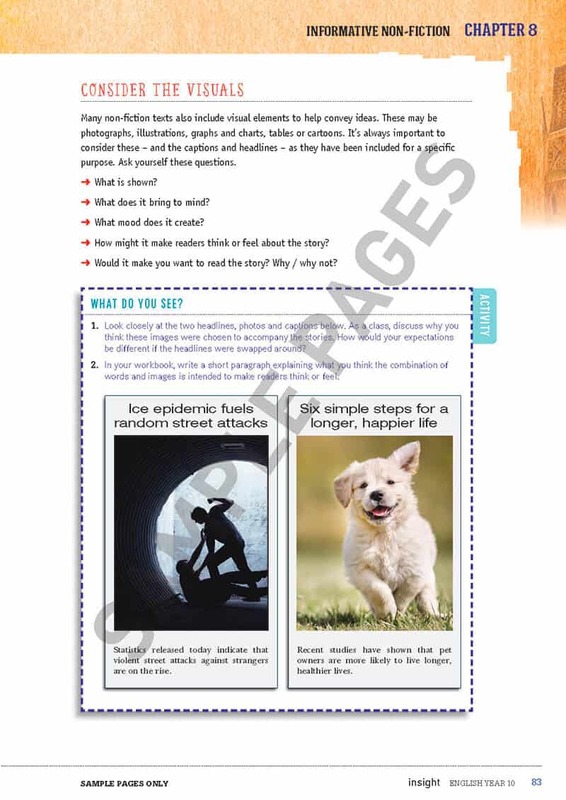 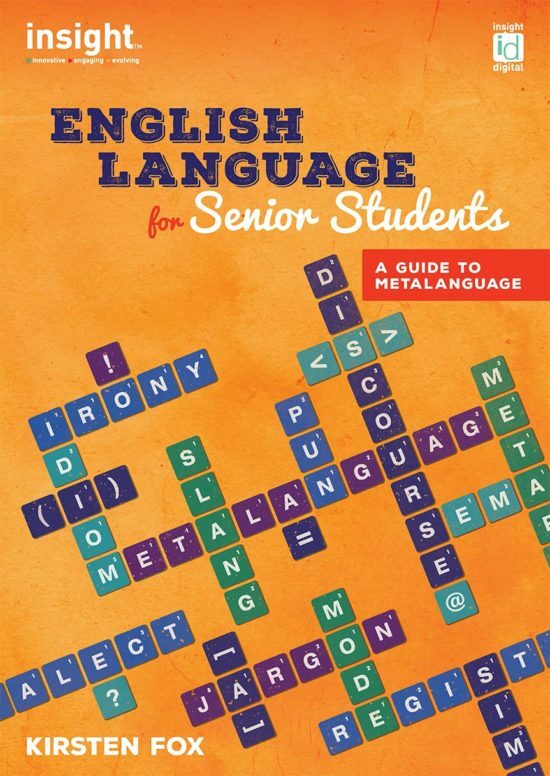 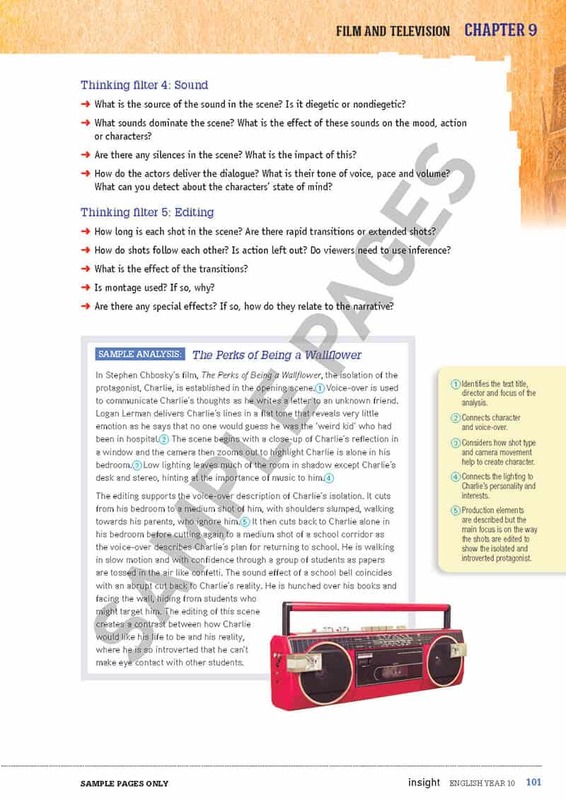 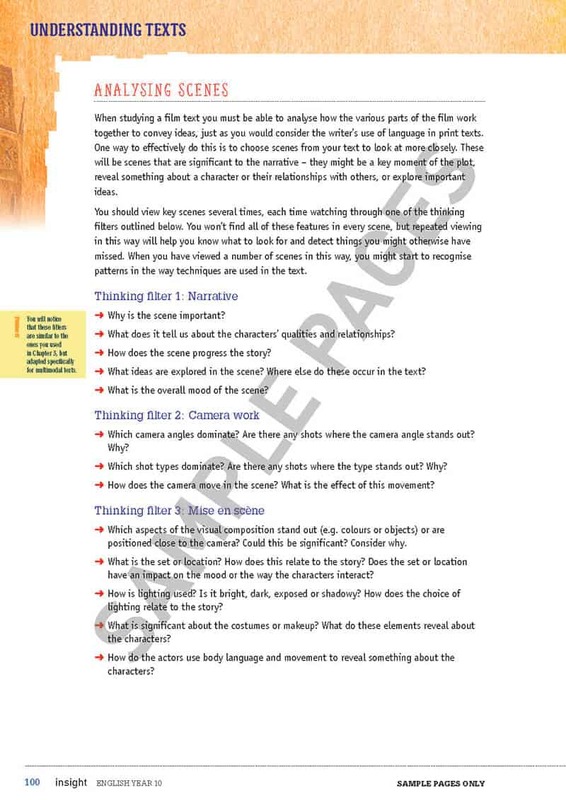 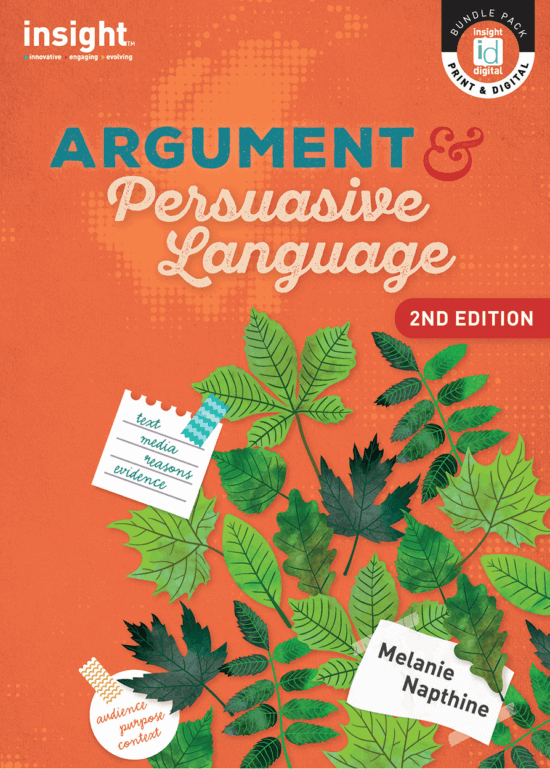 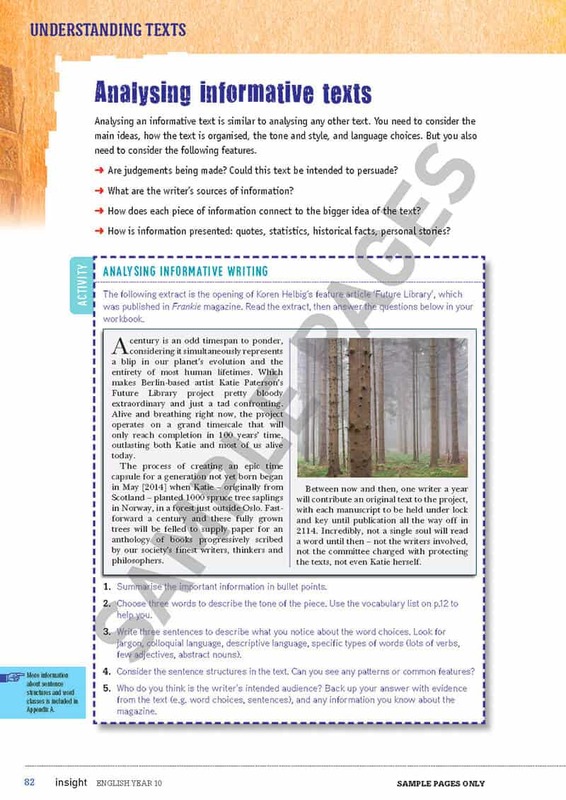 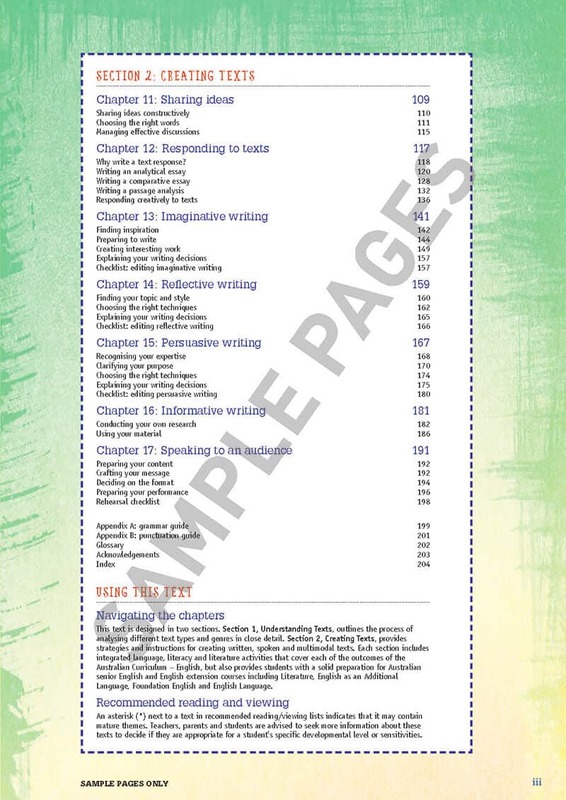 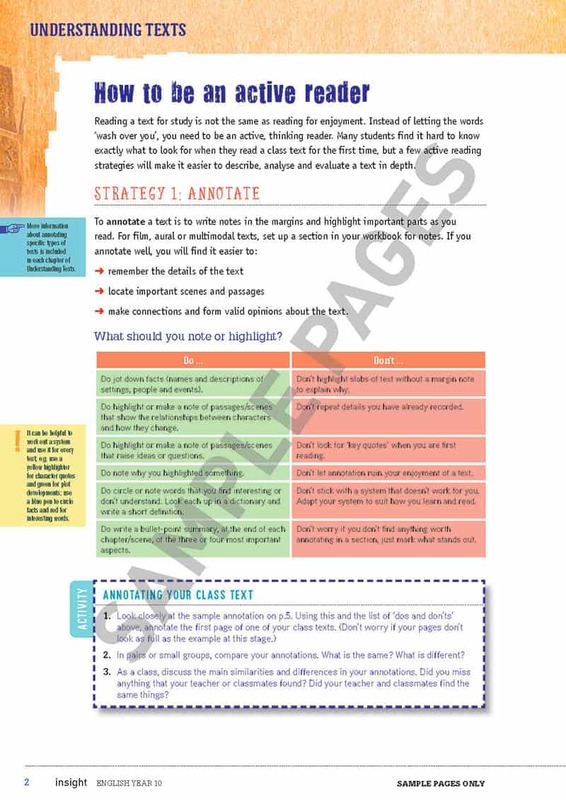 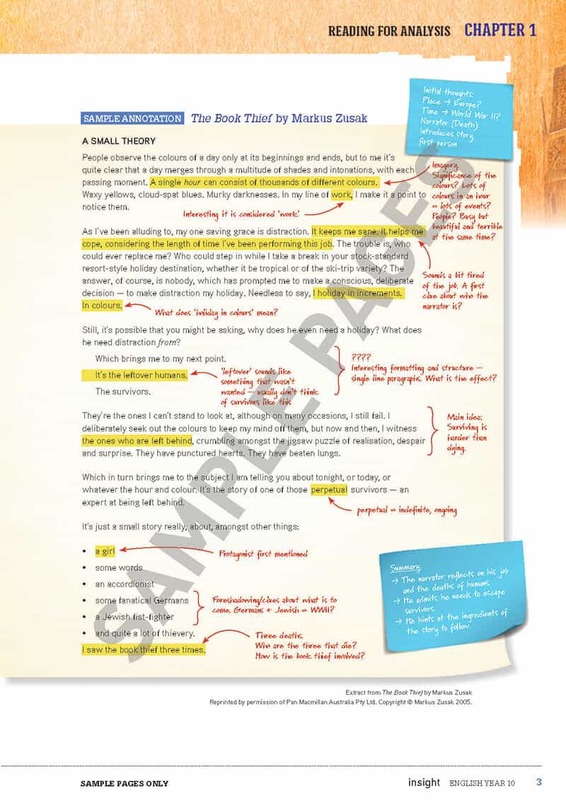 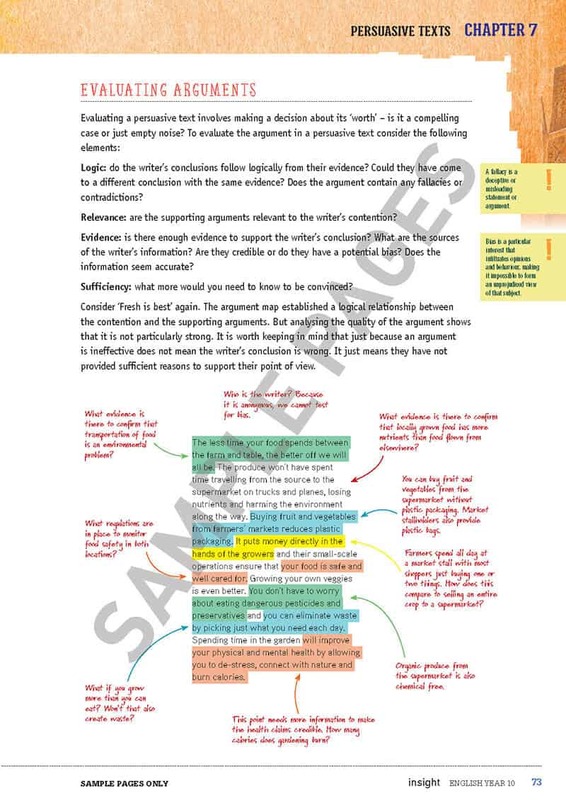 Handy word banks, integrated grammar activities, vocabulary builders and sample responses to promote accurate and appropriate metalanguage use.